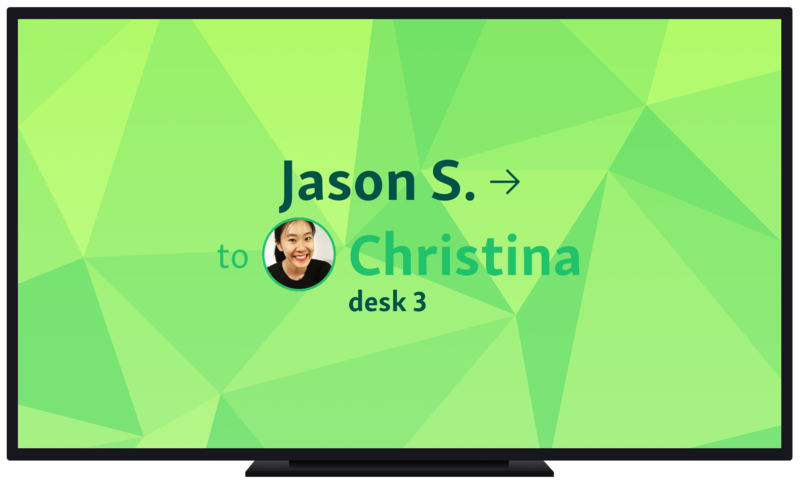 Let your customers see their place in queue with Qminder's TV app. After your customers have been added to the queue, they will want to know where they stand in the line. Being able to see how many other visitors are in front of you makes the waiting less stressful and gives general wait time estimation. 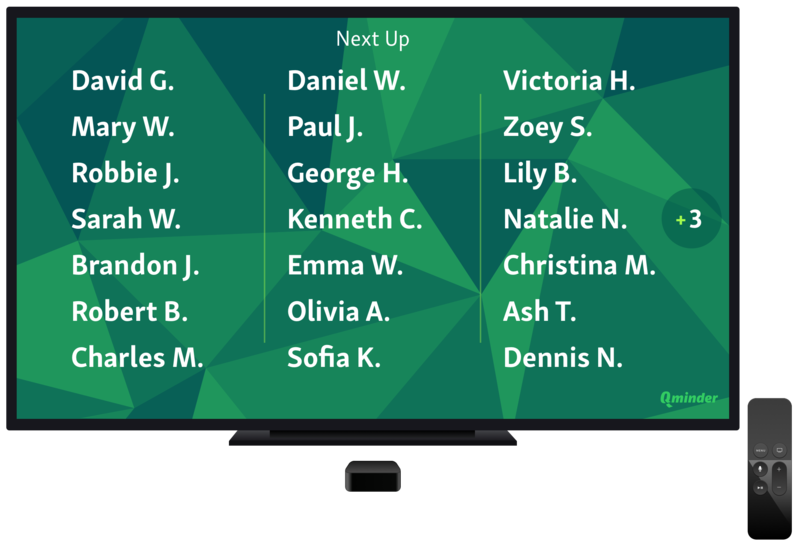 With Qminder's Apple TV app, you can display the queue list in a clear and informative style. Qminder TV shows up to 21 customer names currently waiting for the service (18 with named desks). A circle on the right side of the screen will display the number of additional customers waiting in line. When a visitor is being called for service, Qminder TV shows a clear notification and plays an attention-grabbing sound chime. The notification screen shows the name of the called customer and the name and picture of the calling clerk. For information on how to set up profile pictures, read here.